What’s more patriotic than celebrating the Fourth of July? 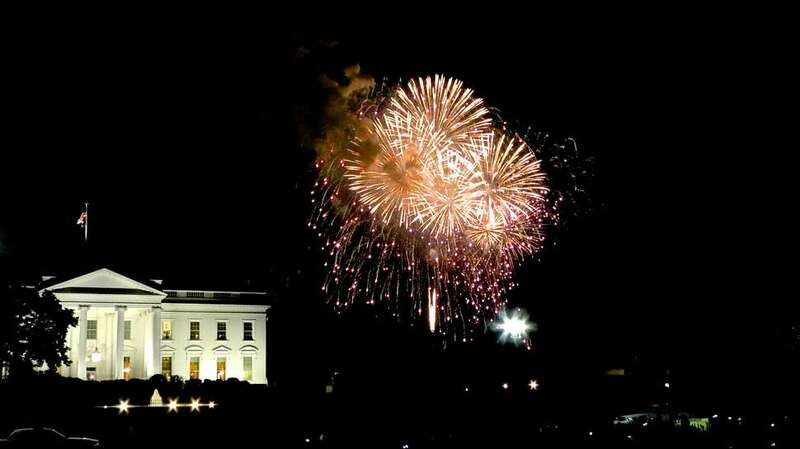 Celebrating the Fourth of July in America’s capital. Whip out the red, white, and blue and hold my beer because I’m serving up some solid spots to check out the National Fireworks. Whether you’re planning to stake out a plot at the Mall or are opting for a rooftop show, you’re destined for a monumental evening. 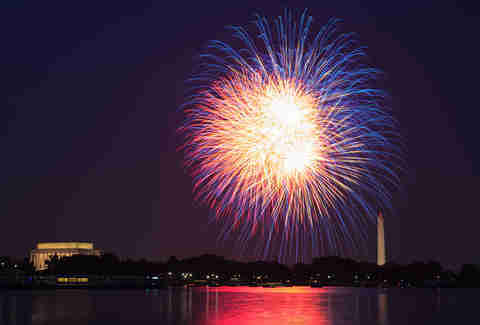 The National Fireworks start at about 9pm, weather permitting. 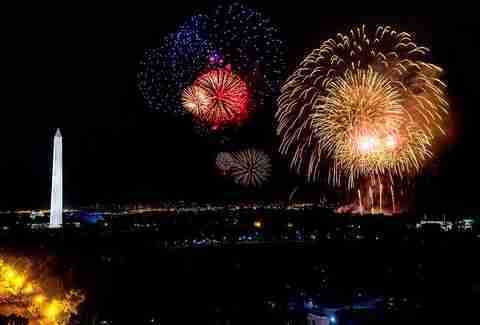 The Mall is by far the most popular location for viewing the National Fireworks and consequently, the most crowded. If you’re interested in getting up close and personal, you’ll need to arrive early. Latecomers may not be permitted in to the access points. Also, if you’re more sensitive to noise, consider bringing hearing protection. This is the closest you can get to the show, so expect it to be loud. For more information, check out the National Park Service’s website. Looking for more of a sophisticated Fourth? 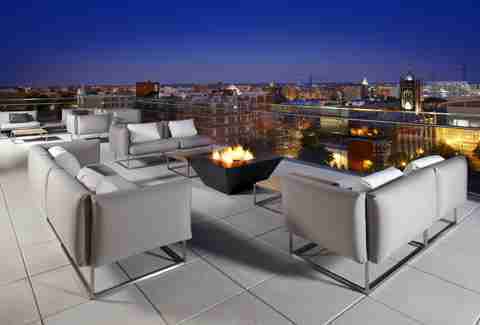 Consider spending your evening overlooking the Potomac at the iconic Watergate Hotel. For some of the best views in DC, a ticket to the “Top of the Gate” will cost you a steep $250. Admission for kids 12 or younger are $125. If you decide to swing it, admission includes draft beer, wine, and a build your own burger station with their Signature Whisky Burger sliders (vegetarian options available, too). View the pyrotechnics from a different vantage point and consider taking a river cruise. The Potomac River Boat Company has two 2-hour cruises with departures from The Wharf at 8:15pm and Alexandria City Marina at 8pm. Tickets are a cool $125 per person. At $180 a person, upgrade to the dinner cruise with a picnic-themed menu, unlimited beer and wine, and a DJ slanging beats until the party’s over. 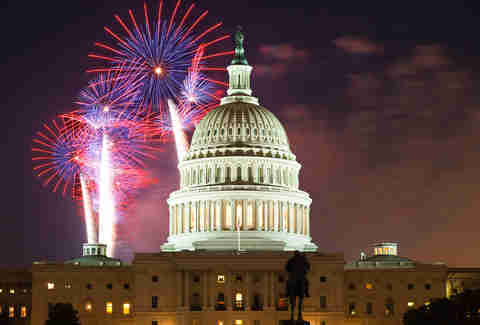 The Fourth of July Fireworks Dinner Cruise boards at 7:15pm from Alexandria City Marina. Avoid the hoopla of the Mall with an intimate evening of dinner and drinks. Starting at 7pm, enjoy an open bar with a robust selection of red, white, or rose. After libations, the buffet will feature menu items like fried chicken and caprese sandwiches. Tickets are pricey at $125 a head, but they include gratuity, the seated buffet, and unlimited wine. Do champagne and cupcakes tickle your fancy? For $50 you can join the International Events DC professionals group at the top of The Shay for cupcakes, three glasses of bubbly (or wine), and a beautiful fireworks display. This event takes place at 1924 8th Street NW from 7-9:30pm. Located on the west side of the Potomac along the George Washington Parkway, this park is popular because of its proximity to Ronald Reagan Airport. Visitors can feel the jet engines of planes take off and land before and after the Independence Day Fireworks. Bring a picnic blanket, picnic chairs, and a blanket to this family-friendly spot. If you want to snag a parking, arrive early or consider walking the 15 minutes from Ronald Reagan Metro Station. 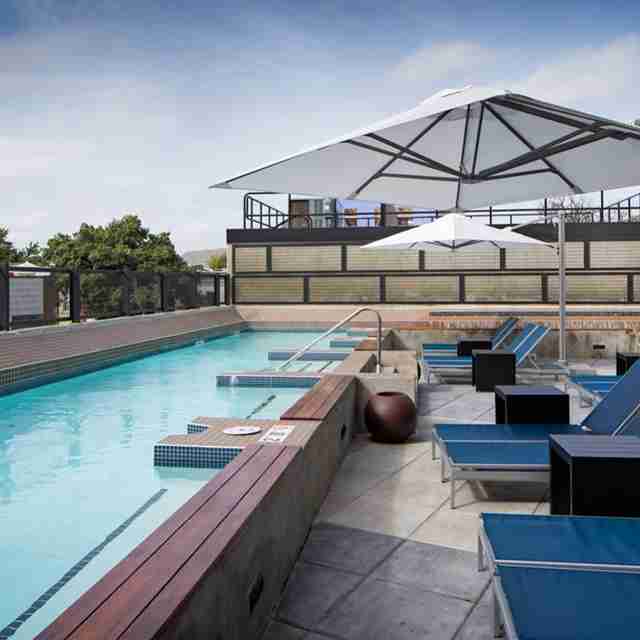 The Cambria rooftop’s third annual July 4 Fireworks Soiree is sure to please. From 7-11pm dress your best in red, white, or blue for a night of dancing and panoramic views. The party will cost you $40 for a ticket and is located at 899 O St NW. Attendees must be 21+. Missing Cantina Marina? Us too. Take a trip down to their new sister spot, Cantina Bambina, on the Wharf’s Transit Pier for oysters, shrimp, hot dogs, cake, and watermelon complimented by fireworks. Tickets may be purchased for $40 each with the event lasting from 7pm-10pm. Catch a glimpse of A Capitol Fourth’s host, John Stamos, and performers Jimmy Buffet, The Beach Boys, and others on the West Lawn of the US Capitol. Attend this quintessential DC celebration for a night of performances and a front-and-center view of the action. This is a public event so arrive early for optimal seating. General admission gates open at approximately 3pm at the southwest corner of the Capitol grounds. Those looking for a more laid back Fourth can tune in to PBS from 8-9:30pm to catch the action.